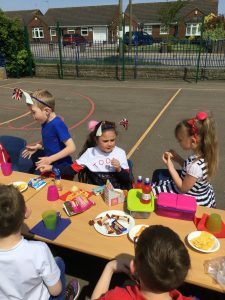 A Street Party fit for Royalty! 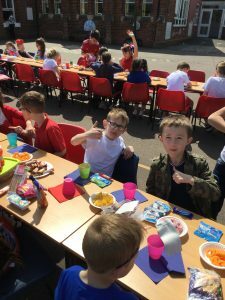 On a sunny afternoon in May, we celebrated the forthcoming wedding of Prince Harry and his bride to be Meghan Markle. 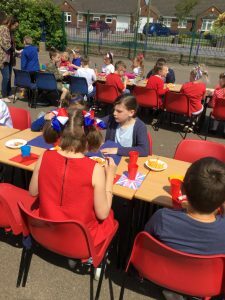 Our uniform was replaced by clothing in red, white and blue and we proudly wore our colours to represent the Union Jack flag. 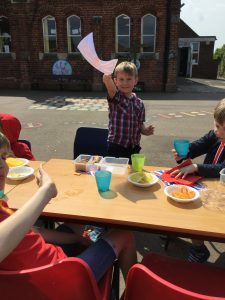 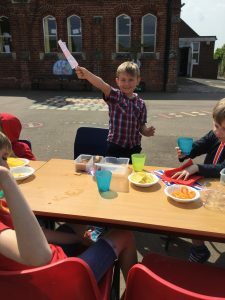 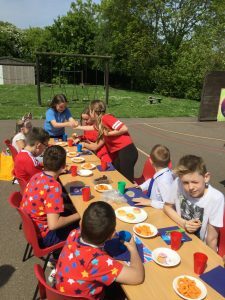 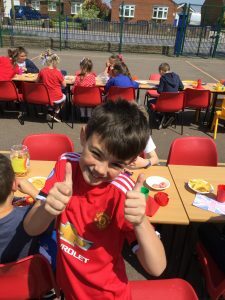 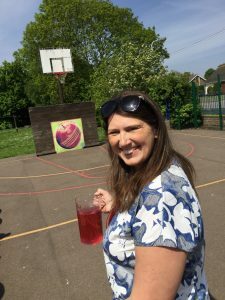 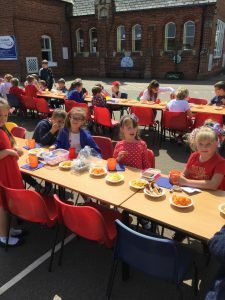 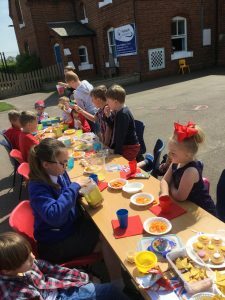 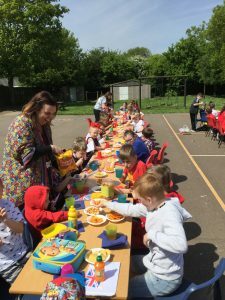 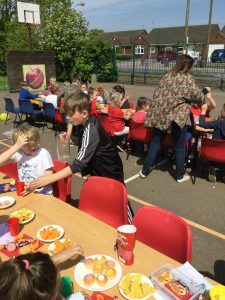 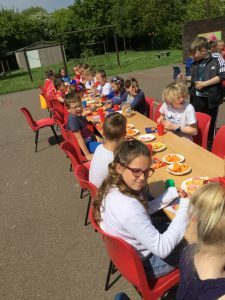 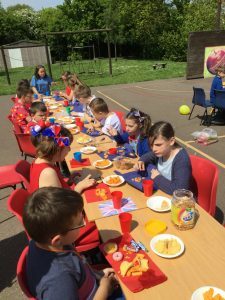 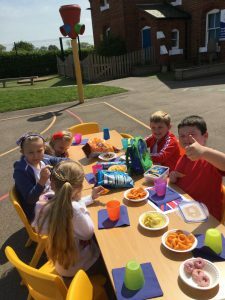 Games and food were enjoyed by the whole school in our celebration – we even sang the National Anthem together. 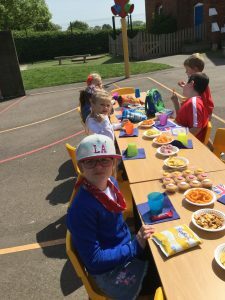 We enjoyed our party and hope that the Royal family enjoyed their celebrations as much as we do ours. 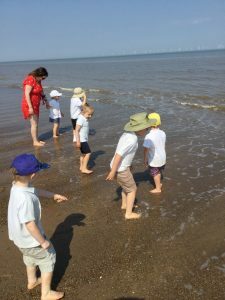 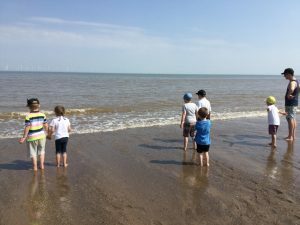 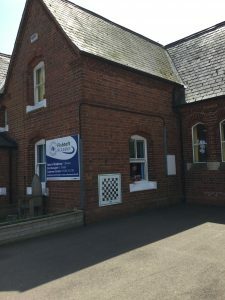 On Tuesday 8th May Starfish went on a trip to Skegness. 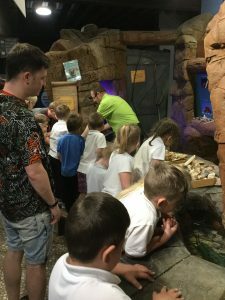 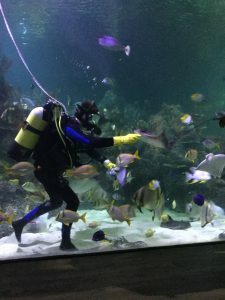 We visited the Aquarium taking part in activities led by the staff on site. 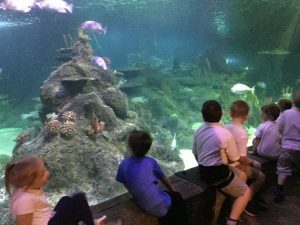 We explored the different tanks and then enjoyed watching the diver feed the fish. 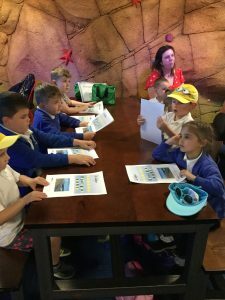 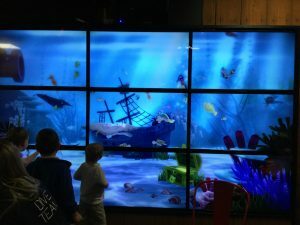 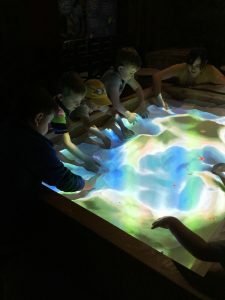 After lunch we learnt all about the seashore and then made our own interactive fish that swam around a huge display screen. 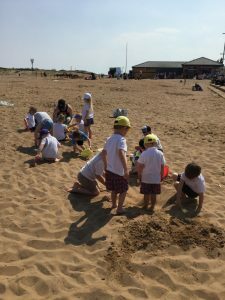 We then went onto the beach and had great fun digging holes, building sandcastles and even paddling in the sea! 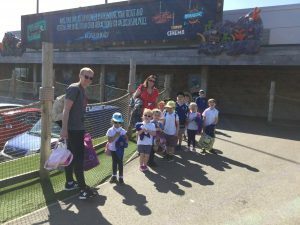 It was a fantastic day and the children (and staff) thoroughly enjoyed themselves!